Conventional YD-2 series has created and enhance the new trend of RWD drift in the world. And now it has refined as YD-2E series that draws on the flow of YD-2 EX which is active in worldwide! 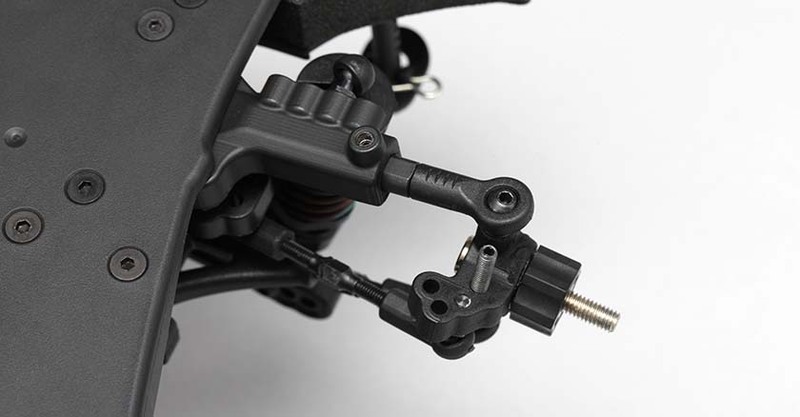 New Front Suspension Arm is the short type in order to have chance to optimize the Ackerman Steering and more wide tread as well. 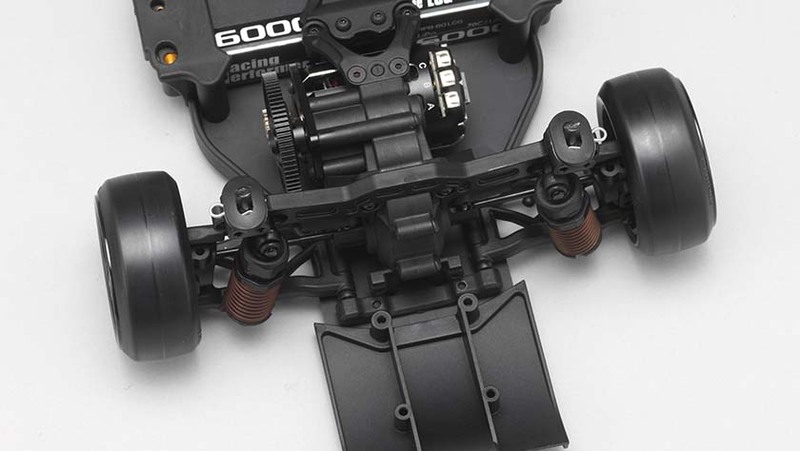 So it has more steering angle as kit standard. 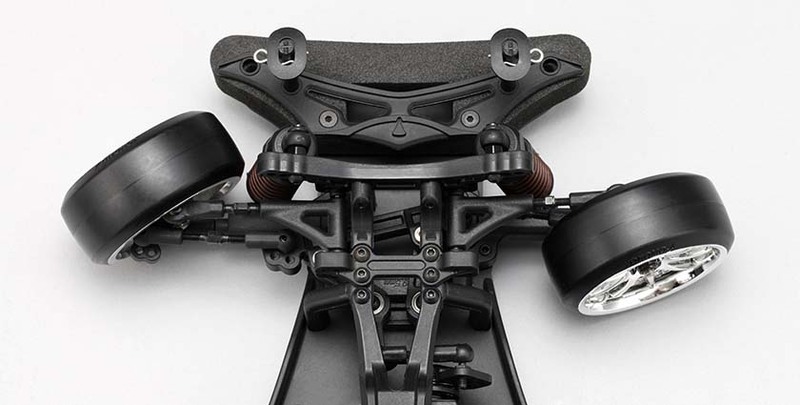 For the rear section, LS Rear Lower Suspension Arm has standard bundled for more down stroke for increasing the grip in order to achieve both stability and speed at the same time. Standard RC Car Battery are all possible to use at YD-2E series. Standard size Li-po Battery, NiCd, Nickel metal hydride, such as 6-cell battery also available. 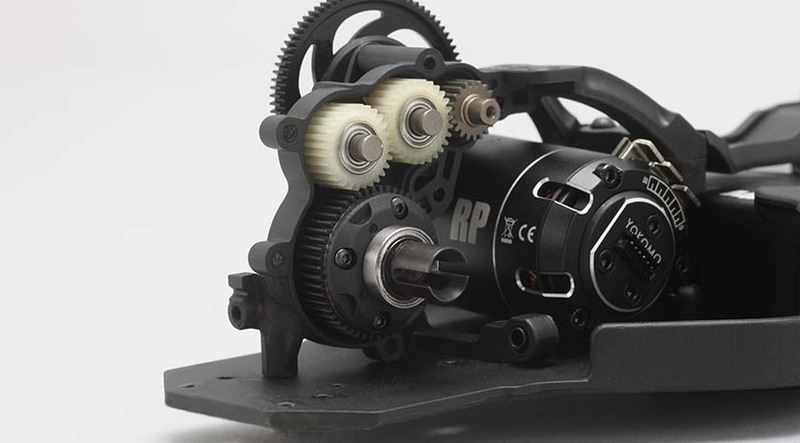 As a drift car, a 4-gear transmission of innovative design. 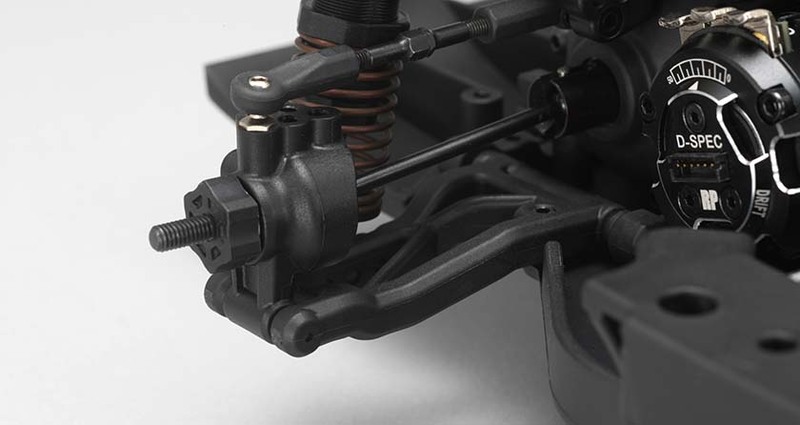 By setting the motor horizontally, it prevents the left-right balance from collapsing due to the counter torque of the motor, and derives the neutral steering characteristic. On the other hand, since the rear traction increases with the throttle ON, it is possible to derive a sense of stability and acceleration at the time of exiting the corner. The enclosed type gearbox is also attractive for its high dust resistance. Rear suspension arm is LS Suspension Arm for more enough stroke. The resin working oil shock of smooth operation enables traveling with a high level of ground contact. 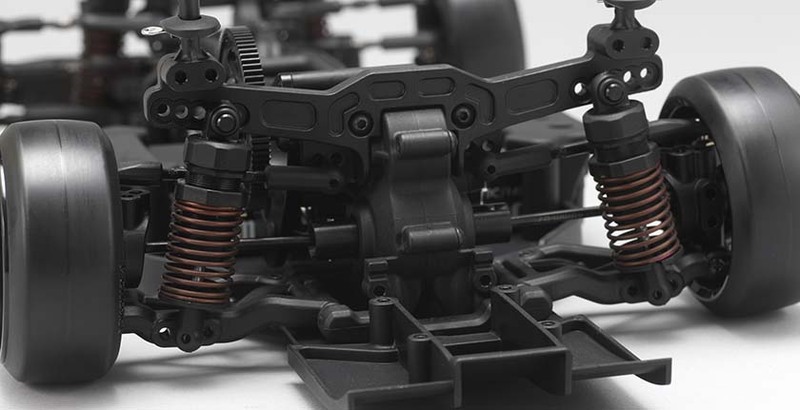 Since it is a vehicle height adjustment type, you can change the height of the car simply by rotating the spring tensioner, and it also supports springs of various lengths. Of course, by adjusting the damping force finely by changing shock oil or piston, the optimum setting can be obtained according to various road surface and driving conditions. Reduced Rear Toe-in for more acceleration and smooth drifting at the same time. 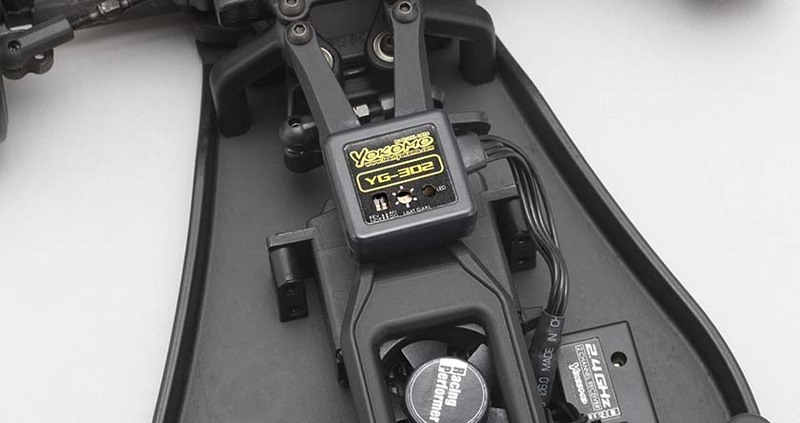 YG-302 boasts the performance of the expert driver ‘s acclaimed gyroscope. By steadily reacting to the slide of the machine, by suppressing excessive steering movement, we realize a natural countersteer like an actual car. If it is a transceiver that can adjust three channels, it is possible to adjust the gain (gyro sensitivity) on the transmitter side.